This entry was posted in Book Reviews and tagged acceptance, compassion, empathy, mental disabilities, realistic fiction by michaeljm007. Bookmark the permalink. I am pleased that you found the post of value. Thanks much for the mention in your blog. I appreciated the comment you left. 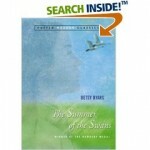 I’ll need to re-read Summer of the Swans now!